Resourceful, ingenious, and committed to time-honored traditions of excellence, the history of the Cheoy Lee is as varied and fascinating as the country from which we come. Cheoy Lee dates back to a humble beginning in 1870 at a building and repair yard for steam-powered craft at Po Tung Point in Shanghai. By the mid-1960’s, 90% of Cheoy Lee production was pleasure craft, primarily for the American market, although the commercial craft division of Cheoy Lee also continued to grow. Cheoy Lee continues to allow the balance of commercial and yacht production to follow market demand, adding considerable stability to the company as a whole. Constantly improving product, Cheoy Lee advanced fiberglass technology to become a forerunner in the marine use of GRP/foam sandwich construction. In 1977 Cheoy Lee built the world's largest molded GRP yacht of its time, the 130' Motorsailer Shango II, and by 1979 the first all foam cored production motoryacht came on line; the Cheoy Lee 48’ Sport Yacht. This model went on to break through in the commercial sector as well, seeing service as a series of patrol boats in Australia, technologically superior and clearly outperforming rival builders at the time. Cheoy Lee continues to be managed by members of the Lo family. The shipyard's new and sophisticated production facility on the Pearl River in Southern China is now the powerhouse of Cheoy Lee production. And as for almost a century, Cheoy Lee maintains a smaller yard and head office for operations on the Kowloon peninsula in Hong Kong. 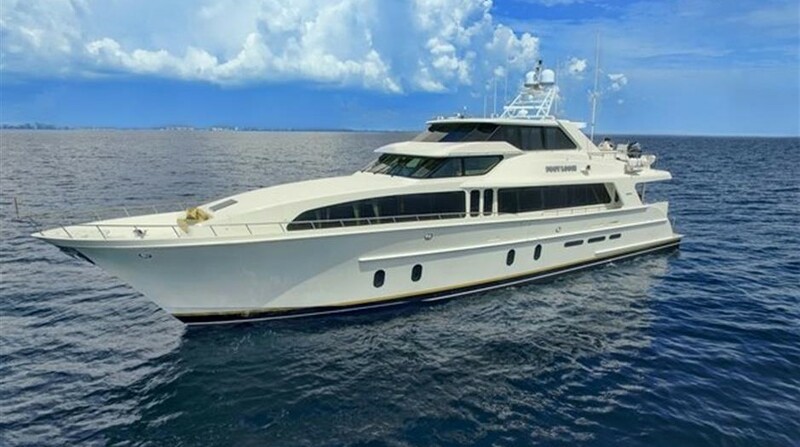 Buying a Cheoy Lee:We offer used Cheoy Lee yachts for sale worldwide, including Cheoy Lee Alpha, Cheoy Lee Bravo, Cheoy Lee Explorer, Cheoy Lee Global and Cheoy Lee Serenity Series motor yachts and commercial vessels. Contact our sales professionals for immediate assistance. Selling Your Cheoy Lee: With a team of experienced yacht brokers and marketing professionals, we will employ a comprehensive marketing approach to ensure your vessel receives maximum global exposure online as well as exposure in person at major boat shows. Learn more about how SYS Yacht Sales will help to sell your Cheoy Lee yacht!